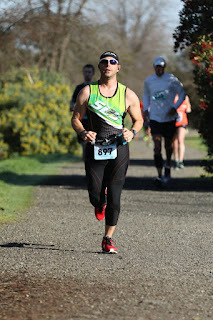 Whether you are a new runner/biker or are a seasoned veteran, one thing that can plague us all is chaffing. I’ll bet this is your favorite topic to discuss, right? Finding a solution can make the difference between being able to exercise the next day or not. Why does chaffing occur though? Chafing is caused by friction — skin rubbing against skin, clothing, or other materials. Skin chafing can be made worse by sweat, which forms salt crystals on the skin increasing friction. This is why people who exercise are more likely to experience skin chafing. Clothes that are made with materials that don’t breathe well (like cotton) or don’t have sweat-wicking technology can also cause friction and increase the occurrence of chafing, as well as wet or dirty clothing. 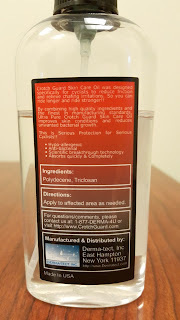 Derma-Tect, Inc. is the maker of Crotch Guard Skin Care Oil, a product that can be useful in the fight against chafing. The idea of Crotch Guard is simple, it is a hypo-allergenic oil that addressed the natural physiology of the skin. It absorbs completely into the skin and isn’t a thick, messy cream like most anti-chafe products. Crotch Guard is made to make your skin healthier by strengthening the skin cells at the cellular level. You simply use the 4 ounce bottle with a fine mist spray top to apply Crotch Guard to those areas prone to chafing. 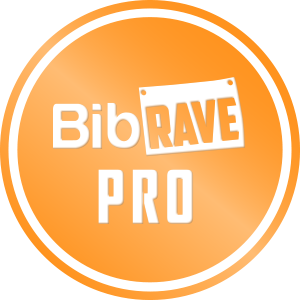 They recommend applying it before and after bike riding, but I have been using it before and after my runs as well. Crotch Guard provides a great cooling effect against the surface of irritated skin as well. The bottle helps to avoid messy drips or hands full of thick anti-chafe lotions. This makes Crotch Guard ideal for applications where you don’t have a place to wash your hands off. If you have ever tried Bodyglide, which is probably the most popular anti-chafe product on the market, you know that it is like a hard deodorant stick. It tends to clump and it can be hard to wash away. Bodyglide will also melt if you leave it in the heat. Crotch Guard is a liquid that will not clump or melt. You can’t even tell that it is on (because it goes on so thin). I am totally sold on Crotch Guard and will continue to use it. The four ounce bottle is said to last 4 months. This picture shows my bottle after about 3 weeks of use, 6 days per week. 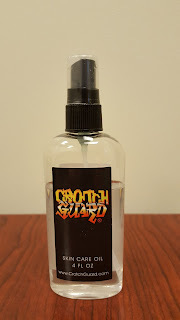 While there may be other anti-chafe products out there that work, nothing that I have tried even comes close to Crotch Guard. It is inexpensive, works well, and won’t ruin your clothes. 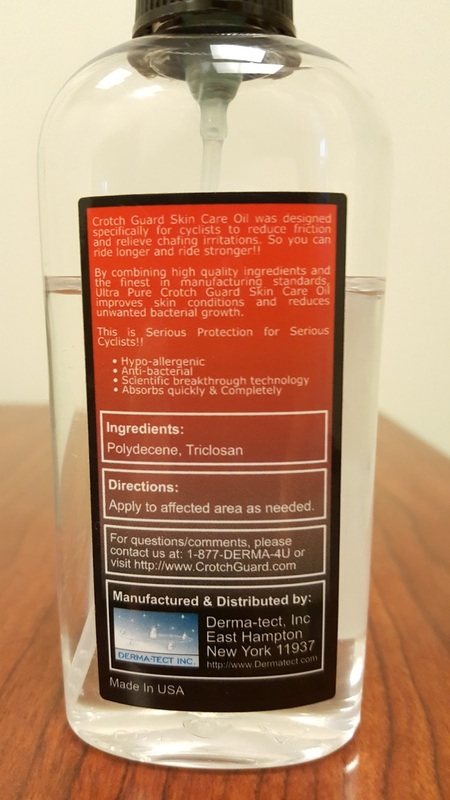 You can pick up Crotch Guard in the 4 ounce bottle for $21.99 or the 1 ounce bottle for $7.99 on the Derma-Tect website or at your local bicycle retailer. Say hello to Crotch Guard and say goodbye to chafing!